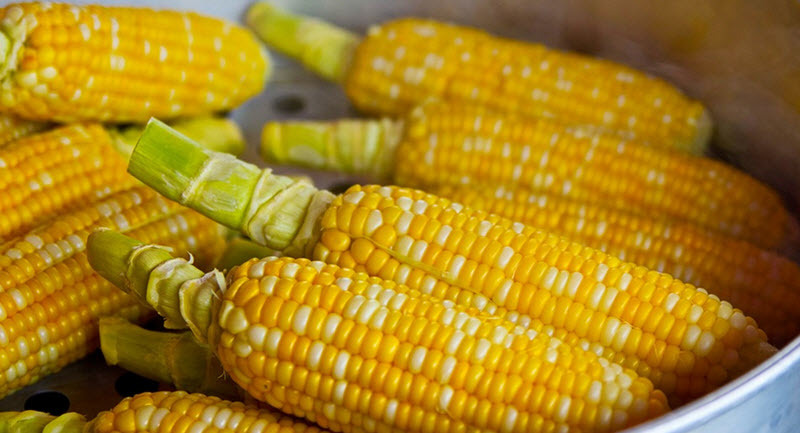 Corn is one of the most used grains in the world. Used as food for humans, in the making of spirits, to feed our animals and as a main ingredient in biofuel production. Corn has been grown in Central America for about 10,000 years. It was brought to Europe in 1492 from Cuba and now the yearly production of corn is higher than other major grains like wheat and rice. Corn is a major part of many industries and therefor a big part of the global economy. Where is it produced and who buys it? USA and China are the ultimate top producers in the world. USA yearly produces 377,5 tons, China produces 224,9 tons and Brazil being the third biggest producer has an annual yield of 83 tons. Corn is sold to a vast variety of industries. The livestock industry relies on corn to feed their animals and is the number one buyer of corn; in USA 95% of feeding grain is corn. The second largest buyer is the ethanol fuel industry and after that comes the food industry which uses it of al sort of products like high-fructose corn syrup, corn starch cereal and various alcoholic beverages. First of all the price of corn is intertwined with the price of other kinds of produce like wheat, rice and barley. But besides that there are 3 main drivers. Since corn is made into ethanol, the demand for this as an additive in other fuels impacts the prices of corn a lot. The US government gives subsidies to corn farmers to increase the production of ethanol so the supply is growing. As the largest consumer of energy in the world and with a growing population the demand will get higher and higher. And as petroleum price are rising China is seeking out cheaper energy sources and biofuels might fill that need. But if growth slows down in China so will the demand for biofuel and therefore, corn. This was a brief introduction to trading in corn as a commodity.